I last wrote about Vincent MacCausland some eighteen months ago, and reported on some letters and pictures which had been found in Canada by Joel Joy. Joel has now pulled everything together in a Flickr page, and added some more pictures which he has come across. Joel is doing a grand job researching the lives of the Canadian Dambusters, and we can expect more material as and when he unearths it. Wow, great picture! I’m amazed (in a pleasant way) that these photos and info is released to the general public. It’s so important that Joel and others are continuing with their good work and diggin’ up these reminders of our past. As a part-time school teacher (twice a year actually ; – ) I know the importance of keeping the memories ticking over – my nine year old daughter is “well clued up” with WWII, Wallis and the Dambusters. Keep the good work going peoples. Congratulations on an excellent website. I am trying to locate any photographs of S/L Henry Maudslay or of any of the crew of ED937 Z which was lost on the dam raids. 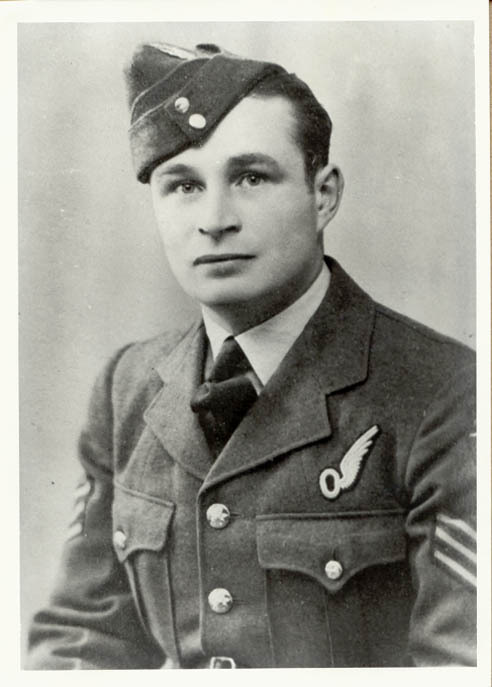 I know he served with 50 squadron before joining 617. I am writing a pice about Henry Maudslay for a book and would welcome any information. Many thanks, keep up the good work. Not wishing to sound flippant on this important page–but dosen’t Vincent MacCausland look like a young Bob Hoskins—the actor? or is that just me. P G Croft. Thank you for posting this picture and for the excellent information on your website. Vincent MacCausland was my grandfather’s first cousin. I knew a bit of his story but had never seen a picture of him. Thanks to you for helping fill in some of the blanks.